Founded in 2014, Speedy HLDGS Limited is a professional software company which integrates science and technology, industry and trade. It boasts a high-quality technological team and first-class technicians who are adept in business, management and software development. At present, Speedy HLDGS Limited extends its business from PC utilities to mobile Apps. Speedy HLDGS Limited is dedicated to offering users a fabulous digital life! Speedy HLDGS Limited's PC software ranges from system optimizer, driver updater software to data recovery tools. It offers good solutions for PC users to speed up PC, get lost data back and keep PC drivers up-to-date. Video tools are designed to convert files between any video or audio format, rip DVD to any video, audio formats you want in a rather convenient way. These video tools will largely improve your digital life and provide you a visual feast. Mac software group is aimed at offering MAC users varieties of mac software, including video converter and professional mac data recovery. 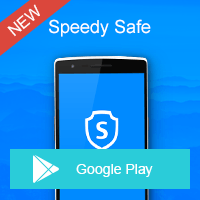 Current Product Lines: Speedy Safe. Photo tools are a group of innovative and easy-to-use tools which enable you to edit photos in bulk, recover lost photos automatically and decorate pictures as you want! Current Product Lines: Batch Photo Processor,SD Card Recovery.